Feb 27, 2012 GFHS Oral History Carolyn Miller School History © Copyright Great Falls Historical Society from GF Historical Society on Vimeo. Feb 21, 2013 GFHS Oral History Mike Kearney © Copyright Great Falls Historical Society from GF Historical Society on Vimeo. Apr 22, 2012 GFHS Oral History Kathy Pherson Johnson House tour © Copyright Great Falls Historical Society from GF Historical Society on Vimeo. Mar 19, 2012 GFHS Oral History Carolyn reads about the Cornwalls © Copyright Great Falls Historical Society from GF Historical Society on Vimeo. Oct 22, 2012 GFHS Oral History Paulene Ross © Copyright Great Falls Historical Society from GF Historical Society on Vimeo. Mar 27, 2012 GFHS Oral History Miller /Dougherty on Cornwell/van Patten familie© Copyright Great Falls Historical Society from GF Historical Society on Vimeo. Apr 9, 2012 GFHS oral history Bob Lundegard Colvin Run Mill © Copyright Great Falls Historical Society from GF Historical Society on Vimeo. Feb 18, 2013 GFHS Oral History Life In Great Falls Panel © Copyright Great Falls Historical Society from GF Historical Society on Vimeo. Mar 27, 2012 GFHS Oral History George Newman Arnon Chapel © Copyright Great Falls Historical Society from GF Historical Society on Vimeo. Aug 13, 2012 GFHS Oral Hstory Glen Sjoblum © Copyright Great Falls Historical Society from GF Historical Society on Vimeo. Feb 12, 2012 GFHS Oral History Carolyn Miller Cornwell Family History © Copyright Great Falls Historical Society from GF Historical Society on Vimeo. Oct 8, 2012 GFHS Oral History Pastor Roland Smith © Copyright Great Falls Historical Society from GF Historical Society on Vimeo. Jul 16, 2012 GFHS Oral History Doug Cobb from GF Historical Society on Vimeo. Dec 17, 2012 GFHS Oral History Dave Bettwy © Copyright Great Falls Historical Society from GF Historical Society on Vimeo. Mar 19, 2012 GFHS Oral History; Carolyn Miller reads about the Cornwalls © Great Falls Historical Society from GF Historical Society on Vimeo. 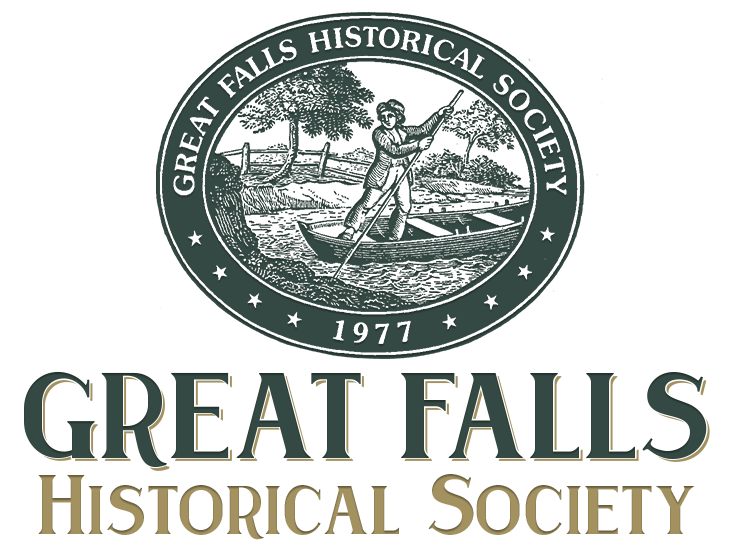 Jul 30, 2012 GFHS Oral History Marge Gersick Semi-Rural Great Falls © Copyright Great Falls Historical Society from GF Historical Society on Vimeo. Feb 11, 2013 GFHS Oral History Life in Great Falls panel © Copyright Great Falls Historical Society from GF Historical Society on Vimeo. Dec 3, 2012 GFHS Oral History Robin Rentsch © Copyright Great Falls Historical Society from GF Historical Society on Vimeo. Mar 12, 2012 GFHS Oral History Bill Lee- neighborhood history © Copyright Great Falls Historical Society from GF Historical Society on Vimeo. Mar 12, 2012 GFHS Oral History R. pannier/ C. Miller Jackson Family History © Copyright Great Falls Historical Society from GF Historical Society on Vimeo. Feb 27, 2012 GFHS Oral History Carolyn Miller School History© Copyright Great Falls Historical Society from GF Historical Society on Vimeo. Feb 27, 2012 GFHS Oral History Ginny Sinclair Remarkable Person © Copyright Great Falls Historical Society from GF Historical Society on Vimeo. Apr 22, 2012 GFHS Oral History Mary Burnett Arnon Chapel © Copyright Great Falls Historical Society from GF Historical Society on Vimeo. Apr 16, 2012 GFHS Oral History Ruth Carver GF Citizens Assoc. early days © Copyright Great Falls Historical Society from GF Historical Society on Vimeo. Apr 2, 2012 GFHS Oral History Carolyn Miller Cornwell Greenhouse © Copyright Great Falls Historical Society from GF Historical Society on Vimeo. Nov 19, 2012 GFHS Oral History Barrett Swink on Swink family © Copyright Great Falls Historical Society from GF Historical Society on Vimeo.